Penalties for DUI in Florida include up to one year in jail, $500 to $2,000 in fines, and license suspension of 180 days to 1 year as well as an order requiring you to use an ignition interlock device for a first offense. For a second offense, penalties include up to 1-year jail time, $1,000 to $4,000 in fines, and 5 years license suspension, as well as a requirement for the use of an ignition interlock device. Upon a third offense for DUI, a defendant may face up to 1 year in jail, $2,000-$5,000 in fines, and license suspension for 10 years as well as required use of an ignition interlock device. Further, your vehicle will be impounded and you may face other penalties such as community service, mandatory DUI diversion or school, alcohol treatment, and probation if your blood alcohol content (BAC) was .15% or higher, if a minor was in the car at the time of arrest, or under other circumstances. Although a DUI conviction or refusal to consent to chemical tests is a misdemeanor in Florida, three DUIs in ten years constitutes a third-degree felony. Four or more DUIs, regardless of when the offenses occurred, also constitutes a third-degree felony under Florida law. If you have a BAL of .15% or higher, or were driving with a minor in the car, your fine will be anywhere from $1,000 to $2,000. Jail time of up to 6 months. For BAL of .15% or higher, the sentence could last 9 months. Driver license revoked (suspended license) for up to 1 year. Fines of $1,000 to $2,000. For BAL of .15 or higher, or a minor in the car, minimum $2,000 to $4,000. Jail time of not more than 1 year in jail. A BAL of .15 or higher, or driving with a minor in the car, will require up to 12 months. If it’s your 2nd conviction in 5 years, a mandatory jail sentence of 10 days will be required. Vehicle impoundment for 30 days (if a 2nd conviction in 5 years). Driver license revoked for 5 years (if it’s your 2nd conviction in 5 years). You may be eligible to apply for a hardship license after 1 year. Fines of $2,000 to $5,000. If your BAL was .15 or higher or you had a minor in the vehicle, the minimum fine is $4,000. Jail time. Mandatory 30 days if it’s your 3rd conviction in 10 years. If it’s outside the 10-year limit, the maximum jail time is 12 months. Vehicle impoundment for 90 days for a 3rd conviction in 10 years. Driver license revoked for a minimum of 10 years if it’s your 3rd conviction within 10 years of the 2nd conviction. If dealing with a first DUI offense, you may be eligible for a diversion program. An experienced criminal defense attorney can help you determine your eligibility for a diversion program. If you need help, contact our DUI attorney Kenneth Padowitz today. His legal experience gained through past experience prosecuting similar charges has given him a broad range of knowledge about DUI offenses and laws. He will look at the potential mitigating factors of your case, and find the best way to proceed with your DUI charge and aggressively defend your rights. An Aggressive DUI lawyer is essential. 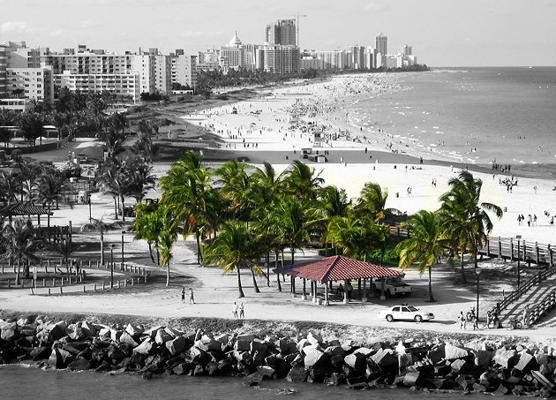 Broward criminal lawyer, Kenneth Padowitz, represents clients throughout Broward County and all of South Florida, including: Fort Lauderdale, Miami, Palm Beach, Boca Raton, Weston, Parkland, Hollywood, Cooper City, Davie, Plantation, Pembroke Pines and Coral Springs.